Need to deliver goods to customers? We'll get you covered in no time! 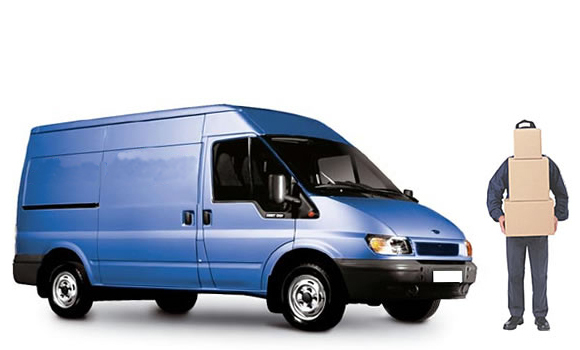 Courier van insurance is a specialist policy that is designed to offer cover for somebody who is earning a living by regularly delivering items to customers. There are also additional products that you may require such as goods in transit or employers liability. Why choose courier van insurance? Courier insurance is essential for anybody that earns a living carrying goods for hire and reward, or that does multiple drops of goods in a day. It’s not just your own goods that you are carrying, but you are trusted to carry other people’s possessions and deliver them safely and efficiently. Depending on your own requirements we can offer numerous insurance policies for couriers, for example comprehensive cover, third party fire and theft cover, third party only cover, employers' liability or goods in transit cover. The cover offered for the vehicle falls under the same category as other van insurance. You have comprehensive, third party fire and theft and third party only. With courier insurance you then can have the option to cover other parts of your business. We can offer you a stand-alone policy (without the vehicle covered) or a policy with goods in transit built in. The cover provided will give you cover against loss or damage for the items in transit. Employers' liability will be available to any courier who employs staff for their business. Employers' liability covers you for claims in relation to injury or illness while working for you. The minimum employers' liability cover is £5 million and it is a compulsory requirement from the government to have this cover if you employ people. How to reduce your premium? Consider the level of cover so it is suitable to your needs. Fit anti-theft devices to your vehicle. Ensure your vehicle is parked safely. Cap the annual mileage of your vehicle so you don’t pay for excessive unused miles. Why choose One Sure insurance for your courier van insurance? We can offer an introductory discount if your setting up you’re business. All polices offer fantastic cover and when you call or get a quote online, you will be surprised by what a great deal you can get. We don’t cut any corners or reduce your risk to make a policy sound better; we simply offer a fantastic package that is suited specifically to your needs and requirements. We will comprehensively search a huge selection of motor trade underwriters so that we can find a package that is both cost effective and perfect to your needs. You are not restricted to just one payment option. We offer competitive payment methods, such as flexible monthly instalments.